Battle command is the art and science of battlefield decision making, leading, and motivating soldiers and their organizations into action to accomplish missions at least cost to soldiers. Battle command has three basic elements: decision making, leading, and controlling operations. Battlefield leadership at all levels is an element of combat power. It is difficult to measure but, none the less, is present and a decisive contributor to victory in battle. Control is inherent in battle command. The division battle command system enables commanders to lead, prioritize, and allocate assets required to employ and sustain combat power. It allows commanders to see further, receive and process information faster, and strike more quickly and precisely than the enemy. The battle command system must provide commanders with timely and accurate information on which to base decisions. Battle command involves acquiring, interpreting, and displaying the information products that result in commanders' decisions and directives. All units continually acquire information about METT-T. This information is sent and received; the means of communicating the information is managed; and the information is filtered and maintained in a form convenient to the decision-making process. Battle command is a continuous process of making estimates, assigning tasks and missions, executing tasks and missions, and acquiring feedback. Missions, tasks, and concepts are derived and formulated from the commander's intent. Courses of action are then developed and analyzed. The commander decides on a single COA (or changes an existing one) based on the most accurate available information. Plans and orders are issued as input to the battle command process at the next lower echelon. Subordinate unit actions are monitored. Battle command is a continuous process of making estimates, assigning tasks and missions, executing tasks and missions, and acquiring feedback. Missions, tasks, and concepts are derived and formulated from the commander's intent. basis for the next iteration of the battle command process-an ongoing cycle. § Allows division commanders to lead their forces. § Provides commanders and staff timely and accurate information and orders. § Is flexible, redundant, and survivable in order to synchronize the division's combat operations and requirements for CS and CSS. § Allows commanders to clearly sense the total battle, then transmit orders to adjust quickly and take advantage of battlefield opportunity. § Is responsive throughout the division's area of operations, controlling units in deep, close, and rear areas simultaneously. § Provides the commander with a capability to move and mass the effects of combat power from anywhere on the battlefield. The division commander's leadership provides purpose and direction to both soldiers and units. The commander is responsible for everything his unit does or fails to do. He is accountable to senior commanders for accomplishing assigned missions. His leadership is central to the success of the division, and his actions have far-reaching impact. communications. He positions himself where he can see the battlefield. He establishes interpersonal relationships with his staff and subordinate commanders. All members of the competent, and trains subordinate units and soldiers. He develops excellence in the soldiers and in the units he commands by setting, and demanding adherence to, tough, clear, achievable, and meaningful standards. He takes responsibility for the good, the bad, the right, and the wrong within his organization. The division commander sets into motion forces on the battlefield to win battles. He decides where and when to place forces and concentrate combat power based on missions assigned from the corps or joint task force commander. He develops his concept of operation based on the higher commander's concept and intent. vision is his personal concept of what the division must do and be capable of doing at some future point. It is essential to developing combat power. This vision provides an end state toward which all activities are planned and executed. Battlefield visualization expands the commander's thinking about the current METT-T process. He can more precisely analyze and synchronize the combined effects of the environment in which the operation is executed and the resources which could potentially be brought to bear. For military operations, the commander expresses his vision in his plans, orders, commander's intent, and concept of operation. Lieutenant General Grant wishes a position taken far enough south to serve as a base for further operations upon Gordonsville and Charlottesville. It must be strongly fortified and provisioned. Some point in the vicinity of Manassas Gap would seem best suited for all purposes. . . .
staff officers are the commander's principal staff. Each staff officer is responsible for a broad category of assistance and support. The staff ensures that all activities of subordinate staff sections and supporting and augmenting units are integrated and coordinated within their particular staff area. Coordination links the division staff with maneuver brigades staff and the senior headquarters to which assigned. An austere division staff relies more on automation and higher headquarters for many types of support. § Accurately determine the current situation. § Anticipate what the commander feels needs to be done. § Develop sound courses of action. § Meaningfully assess courses of action for the commander. § Issue the necessary orders and instructions. § Monitor how well the orders and instructions are being executed. § Alter the plan in accordance with unit feedback, commander's guidance, and commander's intent. § Synchronize actions prior to combat operations. The commander, however, still decides, monitors, and drives the operation. The division staff is expected to operate with a great deal of freedom and responsibility. From information available, it must discern what is essential to the commander's decision making. It must coordinate the entire division effort to support the commander's decision and concept of operation. Normally, the commander issues guidance and makes tactical decisions from field locations, then moves to the point of the division's main effort. The staff develops orders and conducts necessary coordination between subordinate units and higher headquarters to execute the commander's decision and commander's intent. § Division tactical (TAC CP). § Division main (main CP). § Division rear (rear CP). Each CP is configured to maintain flexibility, redundancy, reliability, survivability, and mobility for continuous combat operations. Additionally, some commanders temporarily control operations from an assault or a jump CP. This section discusses roles and general functions of CPs. Division CP operations and alternate CPs are discussed further in FM 71-100-1, FM 71-100-2, and FM 101-5. Command posts allow the commander to go where he can best influence actions while maintaining continuity of the overall division operation. Command posts must be efficient. Simplified staff operations and communications through the elimination of elaborate formal daily briefings, nonessential comforts, and nonproductive staff procedures allow greater flexibility and freedom of movement. Command posts are priority targets for enemy attack; therefore, they must be as small and as mobile as possible. They provide the physical facilities and systems interfaces that allow commanders to see and direct the battle, allocate and position resources, and plan future battles. The command group consists of the division commander and designated staff members. Normally, this includes a G3 officer, a G2 representative, a fire support element (FSE) representative, and the air liaison officer (ALO). The command group is not a permanent organization. The mission and staff available dictate its makeup. The command group locates well forward where it can see and influence the battle with rapid decisions and orders. When fully active, the TAC CP controls the close operation. The division TAC CP is a small, highly mobile, and survivable CP normally located close to the forward brigades. It synchronizes combat, CS, and CSS in support of close operations. The TAC CP contains only those elements and information that directly contribute to the conduct of current close operations. It provides the minimum necessary staff support. Typical TAC CP organizations are shown in Figures 3-2a and 3-2b. forces and synchronizes engineer obstacles, monitors the logistics situation, is aware of enemy and terrain obstacles, coordinates airspace, controls forward air defense operations, and controls changes to the current close operation. The assistant division commander for maneuver (ADC-M) or his designated representative normally supervises the TAC CP when it controls current operations. The division TAC CP displaces as required to remain well forward to maintain control of the close operation. When displacing, control of the close operation may temporarily shift to the division main CP. The main CP is the division's primary command post-the heart of the division's operation. It maintains the pulse of the division battle by receiving input from the TAC CP; rear CP; and higher, lower, and adjacent units. It controls all units not specifically controlled by the TAC or rear CP. Typical main CP organizations are depicted in Figures 3-3a and 3-3b. The main command post plans, coordinates, integrates, synchronizes, monitors, establishes priorities, and allocates resources to support the division's simultaneous conduct of deep, close, and rear operations. § Synchronizes main CP functions to support the entire division battle. § Is the central source of information concerning the conduct and status of the division battle. § Is the information center for the division commander. § Provides and accepts liaison teams. attached, or OPCON units at the main CP. The G3 cell synchronizes the division battle. It normally comprises G3 operations, plans, deep operations coordination cell (DOCC), A2C2, fire support, division signal operations, and NBC. Representatives from the ADA battalion, engineer battalion or brigade, G1 and G4, aviation brigade, and Air Force also perform functions within the G3 section. The G3 arranges battlefield activities in time, space, purpose, and resources to produce maximum combat power at the right place and time. § Coordinates, integrates, and synchronizes organic and supporting combat, CS, and CSS assets to support current and future deep, close, and rear combat operations for the division. § Allocates resources and establishes priorities in support of the division battle. § Prepares and issues warning and fragmentary orders (FRAGOs) to support the current operation. § Monitors the operations of higher, lower, and flank units. § Monitors deep, close, and rear operations. The operations element serves as the division net control station. It responds to communications from the TAC CP, rear CP, and uncommitted combat and CS units. It maintains current combat situation data, as received from the TAC CP, for friendly forces. It works closely with the plans element to synchronize future operations and transition from the current operation to a future division battle without loss of momentum and unit tactical integrity. When necessary, the operations element assists the DOCC in synchronizing and controlling the division's deep operations. The operations element works with the TAC and rear CPs to effectively manage the division's terrain. The G1 and G4 representatives in G3 operations are direct links to the CSS cells in the rear CP. They ensure timely responses to immediate tactical requirements of the current operation and coordinate personnel and logistics support for a future operation. § Parallel planning with the G2 and G3 elements to transition from current operations to future operations plans. § Planning, integrating, coordinating, and synchronizing all future operations. § Producing OPLANs and warning orders for the transition to future operations. § Continuously monitoring current operations and anticipating and, as necessary, adjusting future plans. Deep Operations Coordination Cell. The DOCC plans, coordinates, synchronizes, and executes the division's deep operations. Deep operations require the commitment of several people (DIVARTY, G3 plans, G2, and aviation) and equipment. (See Figure 3-4.) Other staff elements assist as required, to include the deputy fire support coordinator (DFSCOORD), electronic warfare officer (EWO), air defense artillery officer (ADAO), ALO, G3 air, PSYOP, G5, and ADE. The DOCC works directly for the chief of staff. The chief of staff and the division commander approve all deep operations. The DOCC plans, synchronizes, and identifies high-payoff targets to be tracked and attacked. It both monitors and supports the execution of deep operations. A2C2 Element. The division A2C2 element coordinates and integrates division airspace. It normally locates near the FSE to allow continuous, critical, and face-to-face coordination. The A2C2 element continuously monitors deep, close, and rear operations. It also deconflicts division airspace for using air support, Army aviation, UAVs, ADA, FA, and EW assets. Special operations aviation (SOA) activities, as part of a division mission, are coordinated through the corps and joint force airspace manager just as any other air mission encroaching on division airspace. § Coordinates airspace within the division's AO to support tactical and logistics operations. § Integrates and coordinates Air Force air support, marine, naval, civil, UAV, and Army aviation support for deep, close, and rear operations. § Integrates, coordinates, and synchronizes the division's organic and supporting ADA assets in support of the division's battle. The A2C2 element works directly for the G3. It comprises representatives from the G3 air, an AD element, an aviation element, the Air Force TACP, and the supporting air traffic control platoon. § Synchronizes all organic and supporting lethal and nonlethal fire support for division deep, close, and rear operations. § Establishes priorities and allocates available fire support resources to support the division battle. § Plans and controls all deep fires in support of division deep operations. § Provides field artillery intelligence officers to the analysis and control element (ACE) to facilitate the division targeting process. § Responds to requests for additional fire support from the TAC CP, rear CP, or other subordinate FSEs. § Participates in and supervises the routine activity and coordination of the targeting process within the division main CP. § Coordinates with the A2C2 element regarding current artillery firing unit locations, changes to fire support coordination measures, and significant fires which may impact airspace users. § Coordinates fire support for breaching operations and the employment and recording of scatterable mines. § Maintains the location of bridging assets (not including armored vehicle launched bridges (AVLBs)). § Tracks enemy, friendly, and terrain obstacles. § Monitors current engineer priorities, efforts, and support in the division sector. The EW section also locates in the FSE. Under the DFSCOORD, the EW section plans, coordinates, and monitors nonlethal EW operations with the FSE, A2C2, G2 and G3 current operations, and plans elements. The EW section works with the assistant division signal officer (ADSO) to implement electronic protection and manipulative electronic deception. With the G2 and MI battalion ACE, the EW section continually evaluates the vulnerability of enemy emitters to electronic attack. It advises the G2, G3, and DFSCOORD on recommended courses of action. It recommends enemy targets vulnerable to effective electronic attack to support current and plannedoperations and tasks the appropriate supporting EW unit. Additionally, the EW section recommends to the G3 direct support (DS) and general support (GS) asset priorities for jamming in current or future battles. The EW section integrates, coordinates, and synchronizes all EW assets in support of the division battle. § Coordinates, integrates, and synchronizes all organic and supporting communications assets (including satellite communications) to support the division battle. § Allocates resources and establishes priorities for deep, close, and rear operations. § Anticipates and plans for the employment and positioning of communication assets for future operations (including requests for positioning of space-based support). § Provides technical automation support (for example, troubleshooting local area network (LAN) and automation hardware problems). Each functional staff section is responsible for user-owned and -operated automation equipment. The ADSO normally works for and reports to the G3. It is the primary staff coordination element between the main CP and the signal battalion and other supporting signal elements. It synchronizes current signal operations, future signal operations, and signal deception and signal support to EW operations. In addition, it sets policy and procedures for distribution, reproduction, publication, and official mail. An emerging concept calls for the development of a G6 staff section. The G6 will be the principal staff officer for the commander in all matters pertaining to signal support (communication, automation, visual information, records management, and printing and publishing). Manning for G6 elements will require 24-hour operations at the division TAC, main, and rear CPs. smoke for current and future tactical operations. The NBC center disseminates contamination overlays and NBC reports to all units. 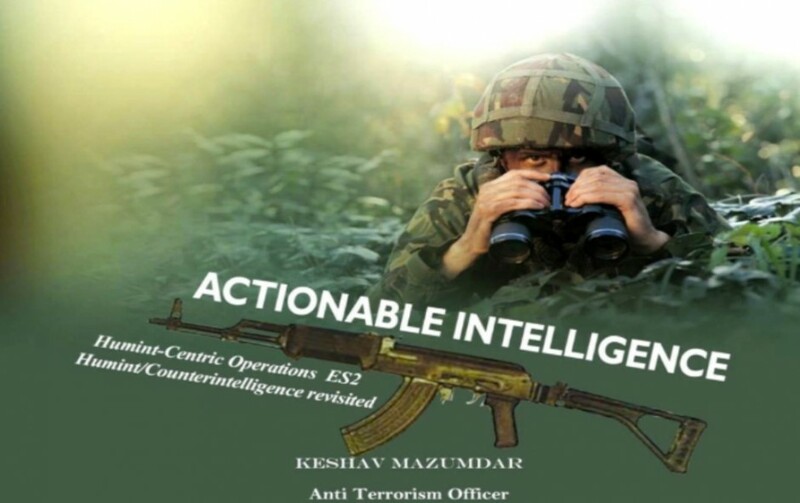 § Provides intelligence to commanders and staffs in support of division operations. § Coordinates, integrates, and synchronizes intelligence, counterintelligence collection, all-source production, intelligence dissemination, special security office (SSO) services, weather services, and terrain team topographic operations. § Coordinates with the division's staff to ensure intelligence operations support maneuver and targeting. § Coordinates for and directs tactical reconnaissance and surveillance operations. § Develops IPB products to support division operations. The G2 and his staff provide critical information on the enemy for divisional operations. They analyze the data presented concerning the enemy force and, using US doctrinal concepts, translate it in terms understandable to the commander. The G2 staff is critical in developing targeting guidance. § Ground surveillance radars (GSRs). · Counterintelligence and interrogator personnel. · Long-range surveillance detachment. The ground-based systems and Quickfix provide intercept and direction finding, as well as communications jamming. The UAV provides near-real-time electro-optical (EO) or forward-looking infrared radar (FLIR). Through the mobile integrated tactical terminal (MITT), the division receives and exploits imagery and SIGINT from corps and EAC assets. JSTARS and UAV downlink data are available to the division and brigades via the ground station module (6 SM) or common ground station (CGS). The division also receives Guardrail SIGINT data via the commander's tactical terminal (CTT). Brigades receive secondary imagery through the GSM. The All Source Analysis System (ASAS) is the backbone of division analysis with ASAS terminals at the brigades ensuring a common view of the battlefield. Operations Element. The G2 operations cell directs and coordinates intelligence, counterintelligence, division SSO, staff weather team, and terrain team operations. It coordinates the daily operations of the G2 staff within the division main CP, providing intelligence to the division commander, coordinating staff, and special staff. It ensures the intelligence requirements to support current operations are satisfied, to include the dissemination of intelligence and combat information. It coordinates closely with the G3 operations branch and FSE to ensure that intelligence and CI operations are integrated with and support the commander's scheme of maneuver and the targeting effort. Analysis and Control Element. The analysis and control element (ACE) combines the missions and functions of the former technical control and analysis element (TCAE) and division tactical operations center support element. The ACE is a new organization organic to the MI battalion and operating under the control of the G2. It supports conventional and force-projection operations and integrates ASAS and other automated systems at the tactical level. The ACE focuses intelligence resources and produces and disseminates intelligence based on prioritized intelligence requirements from supported and subordinate commanders. It develops and tracks critical targets, performs all-source analysis, manages collection, and produces and maintains IPB products. and planning and coordination. It translates intelligence requirements into collection missions for intelligence assets supporting the division. It receives, analyzes, consolidates, and assigns priorities to current and future tactical operations-generated intelligence and electronic warfare (IEW) requirements. It disseminates combat information and intelligence to the right user at the right time. The ACE also synchronizes and focuses intelligence assets to detect and track high-payoff targets (HPTs) through their collection management process. The ACE depends on the ASAS, a grouping of computer-driven equipment that receives, processes, and disseminates intelligence within the division. § Are key participants on the targeting team. § Provide the interface between the targeting team and the ACE. § Help the G2 section translate targeting time requirements into guidance for collection and ensure the collection plan focuses, in part, on detecting HPTs. § Provide attack guidance matrix and target selection standards to the ACE. § Provide the G2 section with expertise on FA target acquisition systems capabilities and limitations. 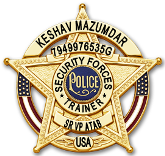 § Nominate valid targets to the FSE for attack. The FAIO may pass identified HPTs and other targets directly to the fire control element at the DIVARTY CP or, if command cell-approved, directly to a firing unit. counterintelligence elements and various division elements to satisfy support requirements. It also works with the G3 operations to develop OPSEC to protect essential elements of friendly information (EEFI). Staff Weather Officer Element. A US Air Force weather team provides weather observation and forecast support throughout the division's AO. The staff weather officer (SWO) works for and reports to the G2. The weather team works with the ACE and terrain team to integrate weather information into the IPB. The weather team supports the division's current and future operations in trafficability, maneuverability, visibility, and soldier comfort. It provides the G2 a daily 24-hour operations forecast and continuous input to the IPB process as well as produces basic wind data for the NBC center. The weather team obtains its weather information from sources both internal and external to the division. Using integrated meteorological systems (IMETS), the weather team has 24-hour contact with weather satellites. It combines surface and upper air observations, theater forecasts, and reception of satellite cloud imagery of current conditions to make forecasts. The team also communicates with the corps weather team element, and the division brigade and battalion 52s for current weather information in their AOs. The SWO also uses divisional and Air Force transient aircraft for pilot reports of weather encountered enroute or exiting from a target area. Collectively, information from all available sources provides the most accurate forecast possible to support tactical operations. Command posts allow commanders to see and direct the battle, allocate and position resources, and plan future battles. Division Terrain Team. The division terrain team is normally located near the main CP. The team consists of eight soldiers to support continuous operations. The terrain team supports the IPB process through production of the combined obstacle, and related terrain analysis, overlays. It supports the planning cell with analysis of trafficability, routes, choke points, zones of entry, and obstacles. The team supports the G2 collection manager with visible area infiltration route, helicopter landing zone (HLZ) and drop zone (DZ), cover and concealment analysis for sighting intelligence collectors, and development of long-range surveillance detachment (LRSD) target folders. It supports targeting with line-of-sight (LOS), mobility, and cover and concealment studies, and with structural information on man-made targets. The team also responds to terrain requests for information. The rear CP controls all elements functioning in, residing in, or transiting through the division rear area. It also synchronizes rear operations for the division battle. Before units leave the corps rear area, they coordinate with the appropriate movement control and corps rear area operations center (RAOC). These elements in turn coordinate with the division rear CP. The rear CP clarifies and approves routes and locations of proposed bases or base clusters. It integrates this information into the division security plan and addresses requirements for CSS of new or transiting units. The division rear CP passes this type of information to the main CP. The rear CP and the DISCOM CP normally collocate in the established DISCOM base within the DSA in the division rear area. This collocation does not imply that together they constitute one command post; they are two separate and distinct CPs with different critical functions requiring close cooperation and coordination. The rear CP's main concerns are terrain management; security of the rear area; tactical, personnel, mail, and logistics movement within and through the rear area; and synchronization and direction of CSS. The DISCOM CP's main concern is the execution of CSS. (Figures 3-5a and 3-5b, show typical rear CP organizations.) Both the rear CP and the DISCOM CP analyze future division plans for their impact on current and future rear area operations. They work together to provide logistics and personnel support when and where needed. The rear CP deconflicts tactical and administrative moves and controls them when required. It manages the terrain in the rear area. It assigns units to bases, designates base clusters when necessary, and appoints commanders for bases and base clusters. The rear CP coordinates and synchronizes rear security operations. It integrates base defense plans and coordinates actions of the tactical combat forces (TCFs). The rear CP monitors activity in the brigade's rear, adjacent divisional rear areas, and corps rear area to prevent potential conflicts with the division's rear operations. It also monitors close and deep operations. When augmented, it may assume control of the fight if the main and TAC CPs can no longer function. The rear CP normally contains three cells-headquarters, operations, and CSS. The ADC-S, normally a brigadier general, functions as the rear operations commander and is responsible for all rear operations. The ADC-S ensures coordination among the operations cell, CSS cell, and DISCOM CP. He normally remains at the rear CP, but when required, he travels throughout the rear area to synchronize operations. His primary concern is to sustain the division's deep, close, and rear operations. The rear operations cell is responsible for terrain management, security, and movement deconfliction and control. Initially small, the cell becomes fully capable when augmented in crisis with reserve component personnel. This cell monitors current division operations and ensures the division's rear responds to current and future requirements. § Coordinating response and TCF and host nation assets. § Coordinating (through the G5) host nation assistance. § Coordinating the positioning, status, and security of units which are placed under control of the division rear CP. § Managing the overall division CI effort in the division rear area; coordinating closely with the PM and 65 to accomplish refugee screening and rear area intelligence collection. § Monitoring the interrogation facility and the division EPW collection point. § Coordinating fire support for the rear area. The division's signal battalion provides a small ADSO element to the rear CP for signal support. Its functions are the same as those for the main CP. When engineer, AD, or other units are under control of the rear CP, the rear operations element directly controls each unit. Each unit either establishes a command post near the rear CP or provides a liaison officer (LNO) to ensure the unit's activities are properly integrated, synchronized, and coordinated. The PM element and the G5 also work under the supervision of the rear operations cell. of the G5 staff, augmented with CA functional experts from the supporting CA battalion. The CMOC is normally located near the rear CP and PM elements to further coordinate host nation activities. Its positioning is flexible and locates where the commander deems most appropriate, based on the nature of the operation. The G5 normally requires augmentation from division assets until the arrival of an EAC or USAR civil affairs element. The major functions of the CSS cell are to plan and coordinate sustainment operations-man, arm, fuel, fix, move, and sustain soldiers and their systems. (SeeAppendix E.) This cell also interfaces with the main CP, the rear CP operations cell, and subordinate units. The CSS cell has two major elements-logistics and personnel. The logistics element comprises the G4 and division transportation office (DTO) sections. The G4 plans, coordinates, directs, and synchronizes the division's arm, fuel, fix, and move operations. The G4 coordinates logistics support that exceeds the DISCOM's capability with the corps rear CSS cell and corps support command (COSCOM). During movement operations involving the entire division, DTO and PM personnel may locate temporarily at the TAC or main CP. There they assist the assault CP staff in monitoring the move and coordinate any contingencies that occur. The DTO, DISCOM movement control officer (MCO), and PM representative help plan and enforce movement priorities. The G1 section plans, coordinates, directs, and monitors all personnel operations. In support of combat operations, the G1 focuses on personnel replacement, strength, and casualty management; coordination of external support requirements (postal, morale, welfare, and recreation); and medical evacuation. He develops replacement priorities from G3 input. synchronize the efforts of the personnel network, manage replacement activities, and ensure commanders, soldiers, civilians, and other joint or allied personnel receive essential personnel services. The G1 support element, located near the rear CP, coordinates and executes the personnel element functions. This element comprises the major sections of the G1 and special staff (such as inspector general (IG), chaplain, surgeon, and staff judge advocate (SJA)). This support element coordinates strength management, casualty reporting, replacement operations, combat health support (CHS), religious support, and legal services. It also coordinates morale, welfare, recreation, and community support activities; coordinates postal services; and monitors finance support. A corps finance battalion supports the division and other units in the area. The positioning of the public affairs officer (PAO) and the PA section is flexible. They are located where the commander deems most appropriate, based on the nature of the operation. The division band provides music to promote troop morale and unit esprit, and to support civil military operations. In combat, the band often fills other roles when properly trained and supervised. During contingencies, the assault CP (or jump CP) normally controls temporarily all operations until the main CP deploys into an AO. The assault CP's design, normally austere, is METT-T driven and may vary from deployment to deployment. The assault CP must be air-deployable and arrive early in the division's deployment. It controls the current fight of division forces on the ground and synchronizes the flow of follow-on units into the AO, phasing them into the fight to expand and secure the airhead. It also plans for future operations. The assault CP serves as the link between division forces on the ground, in the air, and at home station and the higher corps or JTF headquarters. It continues this function until the remainder of the division's command and control system closes into the AO. As the assault(TAC+), main(-), and rear CPs arrive, they begin to perform their normal functions. The assault CP has no standard design. Each situation or contingency mission may have different requirements. An example is at Figure 3-6. Normally, the assault CP includes G3 operations, plans, G2 operations with a deployable intelligence support element (DISE), a fire support element with an ALO, a signal element, and G1 and G4 operations with an SJA. These functions require sufficient personnel for effective continuous operations. The size of the assault CP may also depend on the number of airframes available. The assault CP is built from the division TAC CP. It "peels off' functions as the main and rear CPs establish operations. The example assault CP deploys with eight high-mobility multipurpose wheeled vehicles (HMMWVs), eight standardized integrated command post system (SICPS) shelters, and sufficient personnel to perform critical battle command functions. The HMMWVs contain all communications and computer equipment hard-mounted. Personnel use this equipment either in the HMMWV, remoted to the SICPS shelter, or in a combination of both. increased access to automation and satellite-based communications and intelligence systems, the constraints on deployment assets, the reduction of forces and resources, the fast-paced operational tempos, and other variables are leading the Army to consider this approach in division battle command. Note, however, that split-based operations require robust long-haul, high-volume communications. Without such support, they will rarely be feasible. Intelligence, logistics, and C2 have all successfully demonstrated the split-basing capability. For example, intelligence assets must deploy early. The DISE (a tailorable forward element that can deploy and set up quickly) goes with the deploying force. At a minimum, the DISE consists of communications, automated intelligence fusion, and broadcast downlinks. A large, and relatively immobile, intelligence-support base performs the bulk of the processing and analysis at home station or deployed in a sanctuary. This intelligence-support base provides dedicated and detailed full-time support. information repositories where detailed planning coordination and analysis occur. The rearward CP and sustaining base collect, process, store, and ship data as required. Electronic pipelines link the forward and rearward CPs together and to the CS and CSS facilities at the home station. The CSS staff responds to forward CP requests for information, providing analysis, targeting, graphics, and future predictions. The split-basing concept requires reliable communications means and access to significant amounts of intelligence and logistics data. Rearward CPs are static and must be secured. The forward division CP is agile and immediately responsive to commanders. It commands current operations or adjusts plans for future operations. It coordinates the development of plans, synchronizes deep operations to establish conditions for close operations, and produces intelligence of immediate concern to the commander. Coordination, analysis, and integration at the forward CP are limited so that the CP remains highly mobile. Detailed staff work is best accomplished at the static, secure rearward command post. A forward and rearward CP concept assumes the two CPs maintain reliable communication links. Distance then becomes relatively unimportant. Many division functions can remain at home with staff work passing electronically to and from the field CPs in the division's area of operation. Under this concept, the commander continues to position himself where he can best influence the situation. He must have the necessary communications and automation capabilities to remain electronically connected to a number of information sources-his forward CP; higher, adjacent, and subordinate warfighting commanders; and broadcast sensors. These systems assist him in commanding and controlling his division. operations. Army divisions focus on fighting and winning battles and engagements as part of a joint force anywhere in the world. Their organization, capability, and flexibility allow them to conduct OOTW in multinational and interagency operations as well as in joint operations.Chapter 8 discusses division actions in OOTW. This section discusses battle command in joint, multinational, and interagency environments. Joint task forces (JTFs) comprise assigned or attached forces from two or more services. They may be established by the secretary of defense, a commander in chief (CINC), a subordinate unified commander, or the commander of an existing JTF. Commanders of JTFs (CJTFs) are responsible to the establishing authority. They exercise command and control through a flexible range of command relationships. Normally temporary in nature, JTFs are disestablished on completion of their mission. JTFs are organized along a variety of command lines. Figure 3-8 depicts a common JTF design. From the American victory at Yorktown in 1781 and throughout our history, multinational operations have remained central to the US Army experience. World War II, the Korean War, the Vietnam Conflict, and the Persian Gulf Conflict are examples of our participation in multinational efforts. Two or more nations conducting operations together to accomplish a single mission is multinational operations. In the future, US Army divisions will again participate in multinational operations. They may be in response to major events (such as regional conflicts) or comparatively minor events (such as Multinational Force and Observer (MFO) missions). The following should help units operating in a multinational environment. US corps and divisions have participated in, and will continue to participate in, United Nations (UN)-type missions and multinational force warfighting. Thus, the division leadership must understand battle Command in multinational organizations. Leaders must expand their battle command skills and learn command and control in a multinational force. Multinational operations may be alliances based on formal agreements designed for broad, long-term objectives, for example, the ACE Reaction Corps (ARRC) in Europe. Multinational operations may be coalitions based on temporary (possibly informal) agreements to accomplish common, usually short-term, and focused objectives. Operations in Desert Storm and UN forces in Somalia, Bosnia, and Cambodia are examples of multinational coalitions. enemy. They may offset a lack of time or resources. They provide new and different capabilities. The enemy may experience multiple dilemmas when faced with an organization of differing equipment, tactics, procedures, and capabilities. § Be part of an operation that is multinational at the echelons above the division (division operates "pure"). The combined nature of this type operation could be transparent to the division. § Operate with multinational forces fighting on its flanks, requiring extensive liaison, communications, and control measures. § Receive specified support from or provide support to the armed forces of another nation. § Operate with integrated forces, that is, multinational forces under the control of the division headquarters or one of the brigades. The estimate process described in FM 101-5 remains the basis for division planning. However, when the division controls multinational forces, the commander and staff may need to conduct an "up front" analysis. This identifies the similarity, familiarity, and interoperability with and between multinational forces. The analysis should include the following areas. Existing Agreements. Within multinational forces, some coordination will have been done, and some standardization agreements may already exist. With coalitions, there may be little documentation and agreement on standards. In either situation, the division commander and staff must understand what agreements already exist. Differences in Goals and End States. The commanders must determine differences in goals and end states (and any hidden agendas) of the partners in the operation. Unity of effort requires agreement in objectives and end states. To design workable courses of action, commanders must identify and resolve areas of friction and force inconsistencies. levels of war. This thread is found in the US corps commander's intent statement, a formal part of field plans and orders. Division commanders write intents for their (multinational) forces after full consideration of national, theater, strategic, and operational end states. § Focus on common objectives and interests. § Coordinate for communications, intelligence, and liaison. § Recognize the significance (good or bad) of precedents. § Understand partners' points of contention. § Develop patience and trust. Differences in Communicating Intentions. Overcoming language differences and determining the primary or common language for the operation are significant problems in multinational operations. Language differences and capabilities determine the complexity of orders. Language needs will also determine requirements for LNOs. Division leaders must understand and consider differences in unit C2 processes and leadership styles, as well as cultural and religious differences and national sensitivities.The US Army uses doctrine; tactics, techniques, and procedures (TTP); and jargon to communicate quickly. Though using these methods becomes second nature, misunderstandings still occur. The chances for miscommunication increase in a multinational or joint environment, and even more so in a coalition, even with well-established standardization efforts. Among the nations, identical military terms (or terms of reference) may have quite different meanings. Division commanders must personally make their intents and decisions understood among all partners in the multinational force. Leadership styles will differ significantly within a multinational force. The superior-subordinate relationship in one nation's army may differ from what a US Army officer expects. Military leaders from other countries may have strong expectations about their armed forces' role and will be sensitive to perceived cultural or national slights. Force Capability. Commanders must know the capabilities and limitations of each force they direct, and the differences in equipment. The combat power of another country's unit can be significantly higher (or lower) than its approximate US equivalent. Individual weapons systems will differ from US weapons systems in maneuverability, survivability, firepower, and ranges. Communications equipment and procedures may or may not be compatible with US equipment and procedures. In some countries, the capabilities of a subordinate unit may exceed those of its higher headquarters. Commanders must also know the training readiness of personnel and units within the multinational force. They assess each unit's training and proficiency levels. They consider recent combat experience as well as the intensity, frequency, and focus of unit training. They assess the fighting spirit of each force and the degree of its leadership support to military operations. Mutual and Viable Support Options. Finally, commanders must identify viable support requirements and arrangements. Commanders consider support within all the battlefield operating systems. The easiest, but least efficient, method is support independence (each force obtains its support through its own national channels). Support may also be one-way (one force supports all other forces), or interdependent (each force provides some support to other forces). The commander's analysis considers what degree of mutual support is possible and desirable based on the compatibility of equipment, connectivity of systems, and cultural differences. The division commander may not always have the option to determine the command structure of the multinational force. In an alliance, some formal document may designate the command structure and command relationships. In a coalition, the higher commander who organized the forces may designate the command relationship. Some operations, however, may require the division commander to negotiate a command structure for the multinational force. 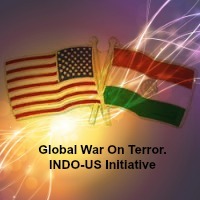 The politics of each country participating will be a primary factor. On one hand, a nation supplying a brigade (commanded by a colonel) to operate within a corps may agree to place the brigade under the OPCON of a US division. Such an arrangement follows traditional task-organization principles in the US Army; however, it requires enhanced liaison and coordination. Conversely, a nation may resist, or have laws against, formally placing its units under the command of another nation. This might occur when the structure of the units approaches equality (for example., a major general commanding a multinational brigade working with a US division). In this case, a command structure that emphasizes unity of effort with some degree of shared command may be appropriate. The nature and personalities of the commanders involved may determine the nature of the shared command. A command and control integration center may be required to coordinate efforts. Special command and control implications arise if the US force is under a coalition headquarters. Division commanders must understand clearly the intent of the National Command Authorities (NCA) with respect to both the command relationship and the US end state. Further, a tactical headquarters (such as the division) that is designated a multinational headquarters will require augmentation in all functional areas to control activities affecting its multinational forces. The division may have to perform roles and missions previously reserved for EAC units, particularly if the number of multinational forces involved is small. involve more than exchanging personnel between headquarters. Liaison elements may actually become advisory elements whether or not they are trained, manned, and equipped for such roles. Liaison elements must have good language skills. They will normally require dedicated, secure communications (voice or data) and transportation. Chapter 2, FM 71-100-2, provides a checklist for liaison operations. Liaison elements must keep informed of both their parent unit's and host's situations. Liaison between individual staff elements ensures better linkages and better understanding of each staff area's limitations, requirements, and intent. Special functional teams also enhance connectivity, such as a communications team to improve signal connection. Commanders of tactical multinational forces may find their liaisons are the primary means for communication and control of the force. Commanders of forces operating in multinational environments face many unique challenges. Differences in culture, religion, and warfighting doctrine; language barriers; and political, economic, and social factors require the deliberate, but careful, application of battle command. Providing a clear vision of how the multinational force will operate and building a climate of teamwork that fosters success are key. Although he will find the task more challenging, a US commander must articulate his vision to multinational forces just as in any other operation. He must be aware of all factors that can impact on the force's readiness and teamwork, to include the nature of the operation and the effect of international differences on its execution. He must greatly expand total mission awareness. He must know all events affecting the forces he directs-both within the area of operations and in their nations. Total mission awareness is critical to mission analysis, planning guidance, and execution in war and OOTW. Unity of effort and teamwork begin with the force commander's personal involvement with commanders of other nations. He sees firsthand the differences in the multinational force and gains insight into synchronizing the various elements. He ensures intents are understood and orders are clarified. He may also learn of potential disruptions. Unity of effort and teamwork are reinforced when the commander develops, implements, and focuses unit and staff training. Commanders foster cooperation. Demonstrated proficiency builds force confidence. A robust liaison enhances unity of effort as well as force control. Finally, as in any military operation, the commander must inspire his forces. Inspiration flows from the warrior commander who shows courage, who is well-forward and seen on the battlefield, and who demonstrates trust, confidence, and patience through effective delegation of responsibility and authority. Commanders must reexamine all BOS in light of a multinational forces' capabilities and limitations. Intelligence and maneuver require special considerations. Intelligence. The threat holds a multinational force together. As long as nations perceive a significant threat or a long-range benefit to their interests, they willingly participate in multinational operations. However, the partners' commitments differ according to their perception of the threat. (The greater the threat; the greater the commitment.) To help cement unity of effort, commanders of multinational forces must keep their units focused on the threat and the agreed-upon response to the threat. The intelligence staff must share appropriate intelligence within multinational forces. This is a complex task. Different nations are allowed varying access to US intelligence. The staff must recommend, and the commander must approve, a fair (but not necessarily equal) system of access to and distribution of intelligence information and products. Commanders must also establish clear and simple rules on the equally difficult task of the handling, disposition, and exploitation of captured personnel, equipment, and documents. To ensure adequate intelligence support to the entire force, the intelligence staff must micromanage these areas. and valuable capabilities. While the United States usually has the greatest amount of technical systems and capabilities, many coalition partners bring a wealth of human intelligence (HUM INT) and counterintelligence to the field. The intelligence staff must establish a system to effectively attain, evaluate, and distribute available non-US tactical intelligence. Maneuver. The best military course of action may not necessarily be the most prudent. In multinational operations, political factors and decisions, such as keeping coalition partners in the fight, often take priority over military factors, such as unit capabilities. Commanders may be required to execute a workable, rather than the best, military course of action. When estimating movement times, maneuver staff officers consider differences in vehicle speeds, unit formations, unique standing operating procedures (SOPs), and unit operating norms. These will vary within the force. Multinational operations result in more and different units and equipment. This increases the capabilities of the overall force and decreases limitations of US units and equipment. The staff must understand how to exploit the capabilities and advantages of non-US units and their equipment. Cultural and language disconnects and unfamiliar equipment increase the rates of fratricide. The impact (political and military) of a fratricide on a multinational force may be immense. Fratricide prevention is key to maintaining high unit morale. Commanders must be aware of those tactical maneuvers and terrain and weather conditions that increase the probability of fratricide. They must limit fratricide occurrences with disciplined operations, detailed situational awareness, and strong command climate. They must know the correct way to deal with fratricide events. A commander's statements and actions may vary according to the culture associated with the casualty. action is taken by the Department of State or other civilian government agencies, rather than by the armed forces. The objective of interagency operations is to integrate the effort of several agencies in a common effort. Interagency relations must be established through negotiation. Agreements should be in writing, as memoranda of understanding or terms of reference, to ensure understanding and avoid confusion. Most agreements will be made at the unified command or RTF level. Within divisions, the SJA and G5 play major roles coordinating actions for the commander. Local military commanders can and should cooperate with their civilian agency counterparts. That includes the division or its elements. One caution is in order- the serious legal restrictions on the use of military personnel and equipment, especially in OOTW. Therefore, the commander should consult his SJA in developing cooperative agreements. Relations with other agencies of government and international and private organizations are so important to OOTW that the division commander must devote much of his personal attention to them. He should entrust day-to-day operations to a deputy commander, chief of staff, or executive officer and provide the necessary commander's intent so that the officer can function effectively. The commander should periodically check on the conduct of operations to assure himself they are progressing satisfactorily, but he should focus on interagency matters. Normally, the division commander does not give orders to other agencies. Instead, he participates in consensus-building-one voice among equals. He must present the military view persuasively but also be ready to compromise. Other organizations will accept his arguments and preferences only if he presents them convincingly and in a spirit of cooperation. Other government and private agency officials will be inclined to accept the commander's expertise in military matters and to listen attentively to his opinion on the overall operation. volunteer organizations that fear being identified with violent operations. The requirements for liaison will usually exceed personnel and equipment strengths authorized in TOE. Liaison personnel in interagency operations require maturity of judgment in political-sensitive situations. They must be selected carefully. They must be language-qualified or able to operate effectively through interpreters. Most civilian organizations, whether governmental or private, do not have command, control, communications, and computer (C4) equipment comparable to the Army's. What they do have may be incompatible. Therefore, the Army may have to provide equipment and operators to ensure unity of effort. The 7th Infantry Division DIVARTY's FSEs and FISTs (personnel with their organic equipment) were used as liaison teams to nonmilitary agencies during Operation Garden Plot in May 1992. This was the federal response to the Los Angeles riots. Chapter 8 of this manual, FM 100-19, and FM 100-20 have additional information on interagency operations. Mission-type orders direct division battles. Orders, therefore, are explicit and direct. Whether oral or written, a good order is clear to those who must carry it out. Clarity and promptness are more important than form. The Army's doctrinal reference for plans and orders is FM 101-5. The initial order explains the situation, mission, and intent of the commander clearly so that additional FRAGOs can meet the changing situation. Warning orders are routinely used to reduce the reaction times of subordinates and allow for parallel planning. Fragmentary orders may be as brief as a few words spoken over the radio, or they may consist of a map overlay or sketch with some explanatory text. Orders convert plans and decisions into instructions for subordinate commands. The amount of detail in written orders is often relative to the time available for troop leading. Above all, orders are timely and flexible. During Just Cause, I had good, competent liaison officers; not just to keep me informed of what their respective units were doing, but to also convey to their units how the battle was going. They are crucial to success, and you have to pick your best people. They have to ha ve the moxie to stand up in front of a two or four star general, and brief him what their commander is thinking, their unit's capabilities, and make recommendations. according to the role they will play in the battle. Habitual training and support relationships and a thorough (and rehearsed) division tactical SOP greatly enhance an effective task organization. Brigades attached to or under OPCON of another division or higher unit are task-organized with a normal allocation of combat support and combat service support assets. The division places a higher premium than ever before on maneuver and offensive spirit. This requires orders flexible enough to shift rapidly with changing conditions. Such conditions require a decentralized command and control system. To operate decentralized, leaders must have a clear understanding of the commander's overall intent and vision of the unit's end state. exercise independent judgment and exploit changing situations. Warning orders notify subordinate commands of new tasks before the planning and issuing of orders are completed. The advance information permits subordinates to initiate time-consuming activities, such as reconnaissance, repositioning of units, reconstitution of units, resupply, and preparation for combat. Fragmentary orders enable the commander to issue orders quickly and in the order of their urgency. FRAGOs inform elements of all missions and provide common information to establish a basis for synchronized action. Prior to a tactical operation, normal practice should be to issue orders to assembled commanders as far forward as possible. Commanders should not assemble for the issuing of orders during operations. Rather, the commander or his representative should arrange to meet the involved subordinate at a convenient location-preferably the subordinate's operational area. The success of tactical marches is fundamental to division operations. The division commander cannot concentrate his forces to fight, maneuver to avoid combat, or benefit from successful tactical actions unless the division can move quickly, securely, and efficiently. The division is prepared for moves within the local theater area, movement from one part of a theater to another, and administrative movements from ports or equipment sites to staging areas. Retaining the flexibility to execute a variety of attack plans until late in the enemy's planning cycle is a goal of movement planning. Detailed and practiced division movement SOPs and standard task organizations simplify march planning, provide flexibility and greater responsiveness, and provide a smoother cooperation through habitual relationships. However, the use of standard divisional task organization precludes having carefully tailored organizations for each contingency. losses are unpredictable. Planners should not try to keep up with these normal fluctuations. They should know the time it takes the division to pass on multiple routes at a designated speed (a division normally will move on at least four routes), general pass times, column lengths, and fuel requirements of corps elements. They must also appreciate the effects of weather and the engineer effort necessary to move a division over different types of roads. For efficient movement, the division is organized into a serial of march units that are of uniform size. A standard march unit normally corresponds to the size of a maneuver company or team or matches the unit's rapid refueling capability. This is a manageable-sized element for CSS commanders, movement planners, and traffic controllers. The MP company; ADA, engineer, reconnaissance, and MI collection elements; select CSS units; division-controlled artillery; jamming teams; liaison parties; and TAC CP move before the main body to synchronize and coordinate the division's movement. They identify problems in advance, control march units, provide communications while the main body moves, clear and repair the route, and ensure smooth movement in and out of positions at either end of the route. Not all of the division's units can move at once. CSS battalions are not 100-percent mobile and require multiple lifts (or transportation augmentation). The aviation brigade's movement requires special consideration since forward arming and refueling points (FARPs) or support areas are established prior to commitment of the brigade's helicopters. all-around (and overhead) security. Accompanying CS and CSS units are interspersed in the column where they can support the force without hindering its maneuver. Protecting CS and CSS units is important to armored and mechanized divisions that depend on almost continuous support for their own mobility. When the entire division marches, leading brigades should move on multiple routes. Battalions optimally march on single routes in column formation. Battalion commanders arrange their march order to secure their trains while moving and to drop their trains quickly if ordered to attack from the march. Mortar platoons and scouts march in positions that allow prompt support of the force. Other combat units of a battalion or task force move in a standard order that permits fast actions on contact and rapid movement onto and off of designated routes. Deployment to and from the column should be a well-rehearsed battle drill. Forward of their attack positions, committed battalions or task forces should have at least two routes to deploy quickly. As a rule, the time allowed for deployment should not be less than the pass time of the leading companies or teams that must bring their trail platoons on line to support the leading units. A division on the move must be ready to meet threats from any direction and to attack from the march if necessary. arrangements within the division to simplify planning, to routinize coordination, and to speed up movements. In a crisis, a division in reserve, unencumbered with forces in contact or other missions, should be able to stage its units forward from assembly areas to attack positions over a period of hours. By prepositioning some of its critical C2 elements and CS units ahead of its combat forces, the division can deliver a coordinated attack with just a few hours' notice. In a deliberate attack, a division commander can reasonably expect 24- to 48-hour advance notice prior to his commitment. With this much notice, he can send brigade CPs forward in advance. He can also arrange for division-controlled artillery and crucial CS and CSS elements to be in place before moving his brigades, main support forces, and CPs forward. Multiple routes are necessary to move an attacking division from an assembly area to its attack positions with acceptable speed and security. In planning the move from attack positions to the line of departure (LD), operations officers consider travel time from assembly areas to attack positions, numbers of routes required per battalion, deployment times, and movement times from attack positions to the LD. Instructions for brigade movements from assembly areas through attack positions to the LD must be specific. They normally include locations of all march objectives, routes, contact points, passage lanes, and friendly units. The staff also supplies information about the support that the defending units whose rear areas must be traversed will provide. Brigade, division artillery, and aviation brigade staffs refine this initial coordination further, arranging the final details of their movement from attack positions to the LD with the in-place unit. Because road space and support areas are usually limited around the LD, the division can expect access to the minimal routes necessary for movement. Everyone in the division must move in strict accordance with published march tables. This requires a strong organization and a high level of training and discipline in small units. § Reconnaissance of primary and alternate routes and assembly areas. § The prompt dispatch of liaison teams to other headquarters. § Standing teams of communicators, traffic controllers, and quartering elements. When rerouting units becomes necessary, suitable alternate routes must be available. Rerouting may be unavoidable, but it usually affects arrival times in forward areas and can also change the order of march into attack positions or assembly areas. Alteration of the movement plan will be of immediate interest to the commander since he may have to reconsider timing or dispositions. The division A2C2 element oversees the airspace control function. Airspace control facilitates the use of airspace by all users, assists AD identification, and safely expedites air traffic flow. The A2C2 element synchronizes the use of airspace and enhances the command and control of those forces using airspace within the division's area of operations. A2C2 elements (corps, division, and maneuver brigade) form a vertical and horizontal channel through which airspace control requirements, plans, orders, and information are coordinated, disseminated, and synchronized with the tactical plan. (Although no special staff element is dedicated to A2C2 at battalion, the A2C2 function is performed at all levels.) FM 100-103 has detailed information concerning the organization and functioning of the A2C2 system and techniques and procedures for airspace control in a combat zone. airspace users of the combined arms team and supporting services, with the division's tactical plan. § Identifying and resolving airspace user conflicts. § Coordinating and integrating airspace user requirements within the division area of operations and with other services and adjacent units. § Maintaining A2C2 information displays and maps. § Developing and coordinating airspace control SOPs, plans, and annexes to division OPORDs and OPLANs; and disseminating airspace control orders, messages, and overlays. § Approving, staffing, and forwarding to corps requests for special use airspace. The A2C2 element at the main CP is the focal point for all airspace control activities related to division rear operations and deep operations, and to the planning for future close operations. Airspace control activities supporting close operations are primarily accomplished at the TAC CP with the A2C2 element at the main CP providing support. Their close coordination ensures that airspace requirements are met timely and effectively. The TAC CP has no formal A2C2 element. Designated representatives from selected staff and liaison elements accomplish airspace control functions. A G3 officer is responsible for the A2C2 effort with assistance from a fire support officer (FSO), an aviation representative, an ADA representative, and an Air Force fighter liaison officer (FLO). Division airspace control methodology stresses procedural control-relying on standing operational procedures, selected use of theater airspace control measures, and compliance with the theater airspace control plan and unit SOPs. FM 100-103discusses tactics, techniques, and procedures for the coordination and control of airspace used by modern systems. ATACMS missions are coordinated well in advance and may be included on the air tasking order (ATO) for coordination purposes. ATACMS missions against targets of opportunity generally require 15 to 30 minutes to process. An example of airspace deconfliction procedures for ATACMS can be found in FM 100-103-1. § The G2 collection manager tasks the UAV or SEMA unit with intelligence requirements. § The UAV or SEMA unit develops the mission and forwards airspace requests to the A2C2 section. § A2C2 coordinates airspace with division units and forwards airspace requests to corps. § The battlefield coordination element (BCE) acts on the requests and submits them for approval to the airspace control approving authority. § If approved, they are entered on the ATO and airspace control order (ACO). § Corps monitors and informs divisions of approval or disapproval. Division A2C2 informs the UAV or SEMA unit. A2C2 inside the ATO cycle takes a dedicated effort. Liaison may be required from UAV and SEMA units to expedite coordination and ensure it is done and, on time. The division as the ARFOR headquarters has diverse responsibilities in the airspace arena. Historically, corps and divisions have worked with the Air Force for air support and interdiction. In larger unit operations where the division was subordinate to an Army corps headquarters, the divisional A2C2 element worked with the corps A2C2 element and the air support operations center (ASOC). The corps A2C2 element reported to the BCE and the ASOC reported to the air operations center (AOC). The BCE works for the senior Army commander and is normally collocated with the AOC. Additional information on the BCE can be found in FM 100-103.
the air support with the service providing the support. Additional information about joint airspace control can be found in JP 3-52, JP 3-56.1, and FM 100-103, with its techniques and procedures manuals, FM 100-103-1 andFM 100-103-2. Finally, battlefield structure (linear or noncontiguous) impacts on the integrated use of maneuver, fire support, and airspace control measures. The division commander, as an ARFOR commander, may find specific guidance in established SOPs and directives from the combatant commander. § Counterair, both offensive and defensive. § Close air support (CAS). § Tactical surveillance and reconnaissance. § Weather and limited visibility. § Airspace control and usage. § Identification, friend or foe (IFF). § The G3 supervises all matters pertaining to CAS. · The FSE coordinates supporting fires, including CAS, on surface targets. · The G3 air, the ALO, and the theater airlift liaison officer (TALO) (with the G2, G3, G4, and FSE) coordinate and integrate air support with tactical operations and provide a central facility through which requests for CAS are processed. · The TACP advises the ground commanders on the use of CAS and controls employment of CAS. A TACP deploys to an alternate division CP if the main and TAC CPs are destroyed or rendered ineffective. · The FLO assists the units in preparing DD Form 1972, Joint Tactical Air Strike Request, when requesting CAS. Units that normally do not have a FLO or an ALO will request assistance as required from the G3 air for specific missions. Requests for planned CAS missions originating at the maneuver battalion and brigade levels are forwarded to the division FSE. They are reviewed by the G3 air, the FSCOORD, and the ALO to determine the suitability of the target for air attack and for potential airspace conflicts. The FSE may recommend attacking the target with another system. As a minimum, the FSCOORD will integrate CAS and AI into his fires plan. The G3 air eliminates duplications, consolidates the remaining requests, and prioritizes the requests. He then forwards the consolidated requests to the corps G3 air at the corps fire support element. The corps G3 air evaluates each division's requests and coordinates with the FSCOORD and the ASOC commander. The G3 air then assigns priorities to approved requests for each category of air support. If CAS sorties have been distributed to the corps, the G3 air approves CAS requests that do not exceed his distribution. If his CAS requests exceed those distributed, he sends a prioritized list of CAS and AI requests to the ARFOR or JFLCC, petitioning for additional air support. At the same time, the corps G3 air notifies all commanders and staffs concerned of the status of the division's requests. unanticipated or fleeting targets. Maneuver commanders can use CAS to quell unforeseen crises, or to exploit opportunities. Details of the mission generally are coordinated while aircraft are airborne. Immediate missions are processed primarily through Air Force communication channels. Requests for immediate missions that originate at maneuver battalions, brigades, and division rear CP are forwarded immediately via their TACP to the ASOC (at the corps or JTF headquarters). Each intermediate Army echelon monitors the transmission and subsequent action. TACPs at these intermediate headquarters quickly coordinate the request with their S3 or G3 air and the FSCOORD to approve or disapprove the request (normally determined by SOP). Unless a disapproval is sent within a specified time period, silence indicates approval of each intermediate TACP. If any echelon above the initiating echelon disapproves the request, the TACP at that echelon notifies the ASOC and the initiating TACP, giving reason for the disapproval. The ASOC passes a copy of the request to the corps G3 air in the collocated corps main CP for coordination with the FSCOORD. When the request is approved, the air support operations center orders the mission flown. Immediate missions involve launching air alert sorties, on-call CAS, planned CAS, and or diverting aircraft from other missions, such as air interdiction. air-ground operations, to include the procedures involved in requesting and processing air support. The division is supported by the Army Battle Command System (ABCS). This system provides commanders and their staffs at corps and division automation tools to facilitate functional processes and access the force level information (FLI) data base. The data base provides the information necessary to develop a comprehensive view of the combat picture. ABCS will link strategic, operational, and tactical headquarters and interoperate with theater, joint, and combined C2 systems across the full range of BOS functions. The system will afford access and query capability by BOS and will be responsive to METT-T considerations. The system architecture allows for increased flexibility and does not tie commanders to static command post structures but rather to a dynamic capability where access to critical information is available on demand at any echelon. tailorable, and simple-to-use communications links regardless of where they are located on the battlefield. The current Army Tactical Command and Control System (ATCCS) will be modified to increase its capability to evolve into the ABCS. Several upgrades are required. First, retransmission of unwanted information must be minimized. Second, warfighters need to have immediate access to processed information from mobile as well as static communications terminals. Third, the Army needs improved methods to distribute information from higher to lower levels, especially at battalion and below. § Maneuver Control System (MCS). § Advanced Field Artillery Tactical Data System (AFATDS). · All Source Analysis System (ASAS). · Air Defense Command and Control System (ADCCS). · Combat Service Support Control System (CSSCS). The larger circle represents the seamless environment. Users connected to this environment will now transfer information regardless of the communications means used. Broadcast, as a common information service capability, has been added to the components that make up the ABCS architecture. Broadcast does not eliminate the need for the other components; it just mitigates the stress currently placed on them. Other key adjustments will include updated automation to properly support the war-fighters and their forces, improvements in source data entry, visual display and projection of graphics, three-dimensional terrain visualization, and map overlay and graphics as required. provides a simplified look at future broadcast technology. Position and navigation capabilities are now being integrated into many systems-aviation, field artillery, mounted and dismounted use, communications, and automation, to name a few. However, there are wider-ranging applications of broadcast information techniques. Some are logistics, planning, imagery, interactive video, news, and weather. Some corps and division units have already experienced the value of broadcast sensor-to-shooter information. (JSTARS moving target indicators, TENCAP video imagery, Guardrail communications and electronics intelligence (COMINT/ ELINT), and UAV video were some of the systems experienced.) Significant intelligence is already being broadcast. The challenge is to properly integrate current and forthcoming systems, paint a common picture, and disseminate information to warfighters in near real time. Another example of new technology is the creation of a "warfighter net." This net uses single channel tactical satellite (TACSAT) terminals. It directly links corps and division commanders with major subordinate warfighting commanders, corps and division command posts, and liaison officers. This net virtually eliminates the distance constraints of terrestrial-based combat radios. Corps play a unique role in the Army Battle Command System as the integrators of higher-level combined and joint systems with the tactical systems. Corps provide the link between ABCS and the EAC command and control system, the Army Global Command and Control System (AGCCS). The corps is also the link between tactical systems and the theater army command and control system for sustainment. New technologies may change the way we control forces. However, no matter how sophisticated technology becomes, commanders still make decisions and provide leadership. hierarchical flow and bottlenecked information, and static command posts are all giving way to new technologies and procedures as we digitize the division's battlefield. Digitization is one way the military services have chosen to modernize their forces. Digitization is defined as near-real-time transfer of battlefield information between diverse fighting elements to permit the shared awareness of the tactical situation. Digitization leverages information-age technologies to enhance the art of command and facilitate the science of control. Continued insertion of digital (data) technology into sensors, intelligence fusion systems, communications systems, and smart munitions will increase our ability to rapidly and globally manage, process, distribute, and display C2 information. Microprocessing and space-based technologies have combined to permit almost real-time distribution of battlefield information. Broadband transmission systems, modular communication components, and automated decision support systems enable high-speed data distribution to all levels of the C2 structure. Facsimile, video, global positioning information, and graphic overlays for digital mapping are examples of information that can now be used to support commanders even at lower echelon units. These capabilities will help to give commanders and soldiers access to timely and accurate data about the battlefield. The new communications system architectures will allow them to rapidly and effectively react on this data. When fully implemented, the technology can provide commanders near-real-time information on the operational and logistics status of friendly units as well as a current picture of the enemy. Graphic overlays for digital map displays will be automatically updated, giving subordinate units complete knowledge of the friendly and enemy situation-thus a common view of the battlefield. This real-time common picture and situational awareness will permit commanders at all echelons to make timely decisions based on accurate information to better control forces, synchronize battlefield systems, and achieve decisive victories with minimal casualties. identification, direction, azimuth, targeting, and support. Networked data systems will aid in the performance of tasks. For example, soldiers currently do data entry and retrieval via keyboard (or pencil). The current interface method (typing) does not lend itself to speed or cross-country movement over rough terrain. Forthcoming technology will ease data entry, retrieval, and viewing under field conditions. Light pens and "pointers" as well as menu- or mouse-driven software are examples of near-term technology that are important for mobile battle command. In the far term, voice input and output commands, speech synthesis, and voice recognition techniques will further improve the interface. airborne command and control (ABC2) command posts, or operations centers will include orders, map overlays and graphics, logistics status, changes in locations, updates to FRAGOs, and so on. "Pulled" intelligence information from shared data bases and operational information from CP vehicles, command centers, and subordinate units will alleviate demands on tactical commanders or staffs answering the interminable questions "where are you; what is your status?" When fully integrated, automated C2 Systems of the future will communicate high-speed digital data to control weapon systems and provide access to critical information for commanders and staff officers from any point on the battlefield. This digitization of the battlefield will enable the division to process and manage C2 information from the foxhole to joint JTF headquarters and higher levels.